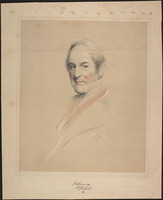 LAMBTON, JOHN GEORGE, 1st Earl of Durham, colonial administrator; b. 12 April 1792 in London, eldest son of William Henry Lambton and Lady Anne Barbara Frances Villiers, daughter of George Villiers, 4th Earl of Jersey; m. first 1 Jan. 1812 Harriet Cholmondeley at Gretna Green, Scotland, and they had three daughters; m. secondly 9 Dec. 1816 Lady Louisa Elizabeth Grey, and they had two sons and three daughters; d. 28 July 1840 in Cowes, Isle of Wight, England. John George Lambton came from a family that had lived in the valley of the Wear in the north of England since at least the 12th century. 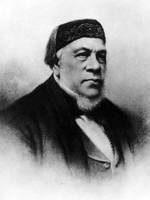 The feudal lord Robert de Lambton (d. 1350) is the most distant ancestor who can be documented. Through marriages nearly always based on family interests and social affinities, the Lambtons had in time become connected with the greatest English families and were distantly related to the royal family. In this privileged milieu, the traditions of military and political service were firmly rooted. 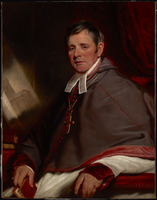 Thus, William Henry Lambton, like his father before him, had been elected to the House of Commons for Durham City, which he represented from 1787 till 1797. The Lambtons derived much of their income from coal-mines on their lands. Around 1812 mining earned them about £80,000 annually, and Lord Durham was said to have had 2,400 miners in his employ by 1833. Consequently the family maintained numerous and varied relations with the mercantile and industrial bourgeoisie. And even if Durham naturally had an unqualified attachment to his aristocratic heritage, it did not prevent him from celebrating in his own way the rise of the middle class or establishing relations with both his own and other local workers that were quite unusual among the well-to-do. Radical tendencies were not new in his family: his father had acquired a reputation as a revolutionary by helping to found the Society of the Friends of the People in 1792 and the society had delegated him to present a petition to parliament strongly urging reform of the House of Commons. Young John had little time, however, to be influenced by his father, who died of tuberculosis at 33 in 1797 when the boy was but 5 years old. His mother soon married Charles William Wyndham and does not seem to have had any desire to look after her children. Thus John and his brother William Henry went to live with a family friend, Dr Thomas Beddoes, a scientist whose radical ideas were well known. The boys remained with him until John was 13. A hypersensitive youngster in delicate health, he suffered enormously from the loss of his father and the attitude of his mother, according to historian Chester William New. 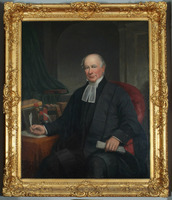 After studying under tutors, Lambton in 1805 enrolled in Eton College, where he spent four years. Surprisingly, in view of his health, instead of going to university he immediately chose a military career, joining the 10th Hussars as a cornet in 1809. He took an equally unpredictable step on 1 Jan. 1812 when he eloped to Gretna Green with Harriet Cholmondeley, marrying her against the wishes of his guardians. Matters evidently were soon straightened out, since within a few weeks the couple agreed to go through the ceremony again. The marriage lasted only three years, for Harriet died of tuberculosis in 1815. 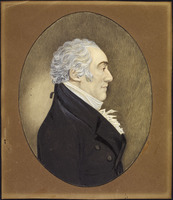 Overwhelmed by the tragedy, Lambton considered giving up the new career he had embarked upon with his election to the House of Commons for Durham County in September 1813. He retained his seat until 1828, however. 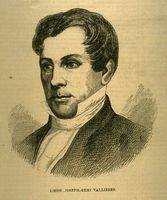 Lambton is said to have been a man of a little more than medium height, elegant in his bearing. Like most of his class he adored horse-racing, hunting, and fishing, but he was fonder than usual of the arts, history, and politics. If his numerous detractors are to be believed, he surpassed his peers in arrogance, vanity, and love of show. Yet none of his adversaries dared question his exceptional independence of mind, courage, frankness, or sincerity. 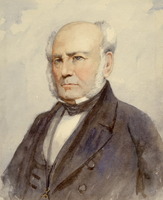 When Sir Henry Thomas Liddell withdrew his political backing from Lambton, reproaching him for a reform zeal he implied was revolutionary, he experienced these qualities. 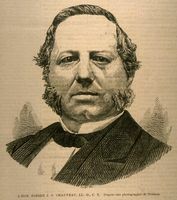 Lambton retorted bluntly, “I beg to say that I feel gratitude for your frankness, compassion for your fears, little dread of your opposition and no want of your support.” Lambton had what was needed for a career as a political reformer, and some thought he might before long become the leader of a reinvigorated Whig party. His health and many other factors kept him from sharing these views. Lambton was beyond doubt a true reformer. New quite accurately describes him as a radical Whig and a moderate Radical. It was in this spirit that he supported the great reform measures of his time: dissenters’ rights, emancipation of Catholics, free trade, universal education, and the founding of mechanics’ institutes and the University of London. 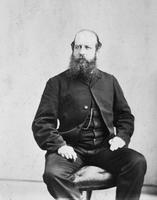 Early in his political career Lambton concentrated on parliamentary reform. Although historians differ in their assessment of his contribution to the debates, he admittedly holds a privileged place, along with Lord Grey, Lord John Russell, and Lord Brougham, in the history of the Reform Act of 1832. 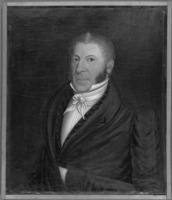 Since Lambton did not raise the issue of electoral reform openly until 1819, it is hard to say what his aims were when he went into politics as a Whig. Presumably he soon became aware of the faulty nature of the British electoral system. Certainly he had been struck by the fact that boroughs were over-represented as compared with the counties, and he also knew that the system favoured the gentry and aristocracy to the virtual exclusion of the middle class and the masses. On 17 April 1821 he introduced a bill to abolish rotten boroughs and extend the vote that foreshadowed the 1832 legislation. Fierce Tory opposition and Whig doubts helped defeat it, however. While not entirely shutting out the working class, in running up the flag for reform Lambton was in fact inviting his compatriots to let the upper and middle classes, along with some popular elements, share power. 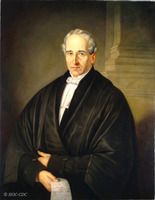 Though not yet prepared to advocate universal suffrage, he favoured the secret ballot and supported the idea that parliamentary elections should be more frequent. Lambton had understood the decisive role that the middle classes played in building up industrial and urban England. He spoke of it with enthusiasm and acknowledged that they had superior wealth and equal competence, talent, and grasp of politics. In his eyes, these factors justified their demands to share by right in political power. His attitude earned him the sympathy, confidence, and support of the moderate middle-class radicals, who were attempting to shape public opinion through newspapers and political associations and thus were in constant contact with popular elements alive to the idea of reform. 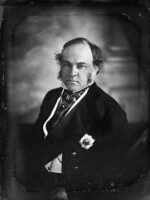 Consequently Lambton was both a disturbing and an indispensable figure for the Whig aristocrats. 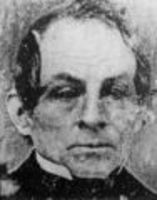 This idealistic nobleman – he was created Baron Durham on 29 Jan. 1828 – urged them unceasingly to go farther than they wanted. On the other hand, especially during the repeated crises in the period 1830–32, while pressing them to go as far as they had to, he proved a dependable intermediary between them, the middle classes, and the people. 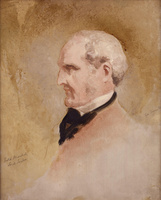 It is not surprising that when the Whigs came to power in 1830 under Lord Grey, his father-in-law, Durham was made chairman of a committee to prepare a bill on parliamentary reform. During this time of great turbulence, the outcome of which was uncertain until the very end came on 7 June 1832, Durham played a role that left in no doubt the depth of his commitment. He was never tempted to see the passage of the bill as the final stage of parliamentary reform. Neither the bourgeoisie nor the masses really got what they wanted, or all they wanted, from the act of 1832. The responsibility for this result rested not only with the aristocracy, but also with middle-class fear of the masses and, it must be added, with similar fears among some in the upper ranks of the working class. 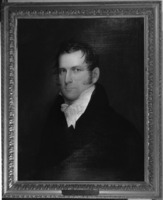 The period from the Reform Act until his appointment as ambassador to Russia in 1835 was one of the most difficult in Durham’s life and career. 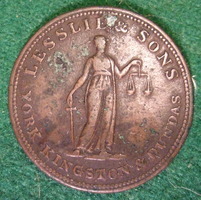 Honours came his way: he was raised to the rank of Viscount Lambton and Earl of Durham on 23 March 1833. He was, however, overwhelmed by an almost unbroken series of family misfortunes affecting him in body and spirit. 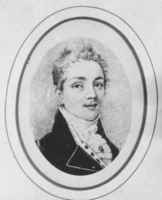 His eldest son, Charles William, died at age 13 on 24 Dec. 1831, and his mother the following year. Then in the space of four years he lost all the remaining children of his first marriage. This was also the time when he broke with companions of long standing. 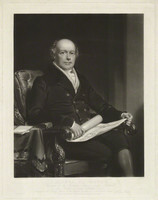 His split with Lord Brougham was an important public event, but his permanent retirement from the cabinet in 1833 as a result of repeated disagreements with Lord Grey on matters relating to reform clearly marked the beginning of his isolation. 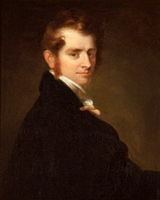 Although Durham was frequently mentioned after 1830 as the future leader of the Whigs, his chances of obtaining the post seem to have grown increasingly slim. 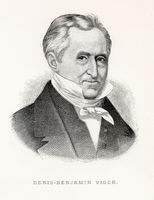 It was not entirely by chance that, with his chiefs’ encouragement, his career took a new turn towards foreign affairs, particularly after 1832. He was involved in the achievement of independence by Belgium and Greece and in the accession of Prince Leopold to the throne of Belgium, and then was entrusted in July 1832 with a mission to the tsar. 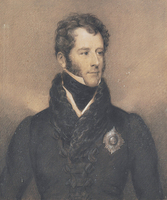 When Lord Melbourne became prime minister in 1835, he promptly named Durham ambassador to Russia. There he had the orders of St Andrew, Alexander Nevsky, St Anne, and the White Eagle conferred on him. Two years later he returned to England and was awarded the Order of the Bath. 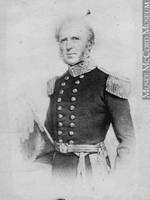 Durham had barely got settled in England when on 22 July 1837 Melbourne proposed that he undertake another mission abroad, to the Canadas, where a crisis generally thought insoluble was growing worse. Durham categorically refused. 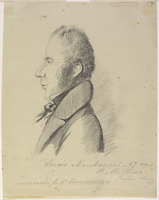 In December, however, after rebellion had broken out in both Upper and Lower Canada, Melbourne made a fresh attempt, promising him virtually dictatorial powers as governor-in-chief of the British North American colonies and high commissioner. Durham let himself be persuaded. From the moment he accepted the appointment on 15 Jan. 1838 until his departure for the Canadas on 24 April Durham was far from idle. 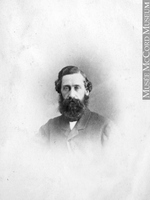 In addition to familiarizing himself with Colonial Office files and having discussions with those of its staff best acquainted with developments in the colonies, he was in direct contact with men involved in Canadian affairs in various capacities such as George Moffatt*, William Badgley*, Louis-Hippolyte La Fontaine*, Edward Ellice*, and John Arthur Roebuck*. He also proceeded to choose his own aides, who included Charles Buller, Edward Gibbon Wakefield*, and Thomas Edward Michell Turton. On 27 May 1838 the Hastings cast anchor at Quebec. Two days later Durham landed and quickly made a proclamation promising to show an open mind and to treat everyone fairly. On 1 June he dissolved the Special Council which upon the suspension of the constitution on 10 February had been made responsible, along with the Executive Council, for settling urgent matters. 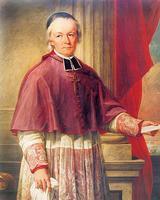 On 2 June he appointed his own Executive Council, from which members of the earlier body were excluded. Buller, Turton, Colonel George Couper, Randolph Isham Routh*, and Dominick Daly* were named to it. 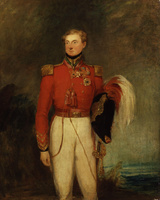 On 28 June he formed a new Special Council, which included Vice-Admiral Sir Charles Paget, Sir James Macdonell*, Lieutenant-Colonel Charles Grey, Buller, and Couper. Of all the problems the new governor had to resolve without delay, none was more urgent and delicate than the fate of the Lower Canadian political prisoners. Administrator Sir John Colborne* had already released 326 of them, but 161 remained in jail awaiting trial. 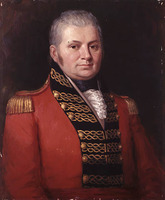 Durham quickly realized that if he followed the expeditious method adopted by the lieutenant governor of Upper Canada, Sir George Arthur*, who had had some prisoners executed, he risked making the situation irremediable. On the other hand he had no doubt that any approach necessitating a jury would be hazardous, for given the state of mind prevalent in the province, it would be impossible to find an impartial one. To be lenient while cognizant of the seriousness of the acts committed, Durham felt obliged to resort to a strategy which would only succeed if his agents could bring the principal prisoners around to admitting their guilt. On 26 June eight of them including Rodolphe Des Rivières, Siméon Marchesseault*, and Wolfred Nelson* signed such an acknowledgement. 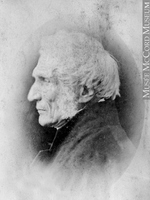 Two days later Durham made public his decision to order the eight transported to Bermuda and to prohibit 16 other prominent Patriotes who had found refuge in the United States – Louis-Joseph Papineau*, Cyrille Hector-Octave Côté, and Édouard-Étienne Rodier among them – from returning to Lower Canada on pain of death. 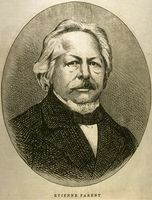 The other prisoners, except those who had participated in the execution of Joseph Armand, dit Chartrand, and Lieutenant George Weir, were given amnesty. 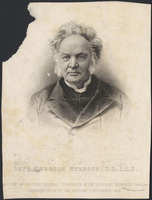 The wisdom of Durham’s solution was recognized by the people of Lower Canada and initially by the Whigs themselves, including even those hostile to him. 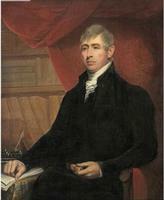 A change was in the wind, however, from the day Lord Brougham began to denounce certain aspects of Durham’s decisions as illegal, in particular the fact that he had sent men accused but not tried into exile in a colony over which he had no jurisdiction, and that he had also pronounced the sentence of death on fugitives. 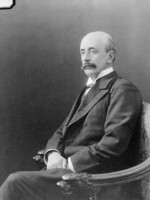 Durham quickly lost the support of his own party and its leader, Melbourne, who backed repudiation of the decree of 28 June. Durham did not learn of this situation until 19 September, when he read about it in a New York newspaper. He believed that for reasons having nothing to do with his mission he had been betrayed by the party leaders. His resignation was inevitable and irreversible. 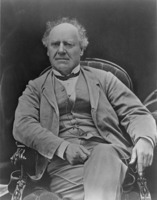 On 9 Oct. 1838, he made public the documents concerning his repudiation and announced officially that he was resigning and returning to England. On 1 November he sailed on the Inconstant, reaching Plymouth on 26 November and London on 7 December. The gesture did not, however, mean that his mission was over. 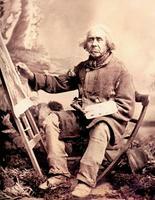 In the early weeks of his stay in the Canadas he had set up an extremely busy schedule of work. 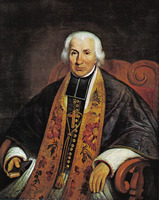 In addition to a heavy agenda of social gatherings, it called for frequent meetings with leading figures in colonial society, travel in the Canadas, and above all the establishment of commissions to inquire into such matters as settlement, immigration, education, municipal institutions, commutation of the seigneurial régime on the island of Montreal, registry offices, police, and the judicial system. In the period from 18 June to 25 August six of these working groups had been created and had immediately turned to their tasks. The commissions worked so well that by the time Durham left he had a fairly clear idea of what his report would contain. All that remained was to write it, a task that took until late January 1839. The proofs were submitted to cabinet on 31 January, four days before the report was presented to the Colonial Office. In the interval, by some unknown means, the London Times began publishing excerpts from the document, so that the British public knew its essential elements before it was officially laid before parliament on 11 February. 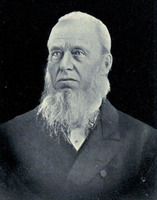 When Durham had left on his Canadian mission, he had felt that his task would not be complicated. He thought he might discover in North America, and Lower Canada in particular, the sort of conflicts so common in Europe, such as the one in which he had been involved in England at the time he had committed himself to parliamentary reform. He expected that the crisis would have readily discernible outward manifestations, and without doubt it would be so essentially political, and secondarily social, that reform of the constitution would suffice to cure it. 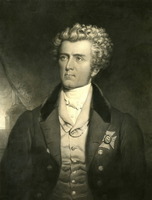 After his arrival in the colony, Durham reached the conclusion that from the perspective of a need for reform, the solution available within the framework of British institutions implied the introduction of responsible government as a key measure. 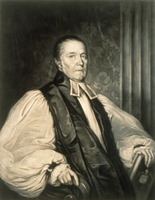 In the course of a visit he paid to Upper Canada, Robert* and William Warren Baldwin indeed drew his attention to this idea, which they considered of the greatest importance. Durham had not intended to build his analysis around the concept of race, an approach that, had he been aware of it, he himself would have found offensive. But his reactions to the national conflicts dividing society in Lower Canada were so strong that in his report he reduced virtually everything to race. From this perspective, the situation seemed to him so irremediable and French Canadian society so incurably ossified that he ended up recommending such an unrealistic and illiberal solution as the assimilation of French Canadians to a culture he judged superior. 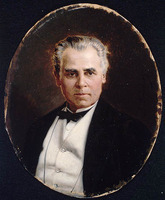 Certainly it was his great concern with the ethnic question that prompted him to reject federation in favour of legislative union of Upper and Lower Canada, although this recommendation was accompanied by a firm proposal for responsible government. For assimilation to be realized, however, Durham was counting essentially on demographic forces which, he was certain, would work for the English-speaking population, rather than on straightforward legal and institutional constraints. The question of union, like that of colonial autonomy, had been in the air for three decades. Since 1810 the English-speaking merchants of Montreal and Quebec had been calling for union of the Canadas under one government. 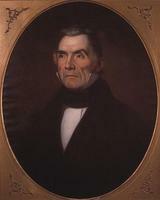 After the failure of the Union Bill of 1822, the merchants had asked that Montreal be annexed to Upper Canada, without, however, giving up their basic demand. In his report Durham had sought to recommend solutions to the whole problem of the Canadas, which had been perturbing colonial societies for so long and was reverberating in London. Yet neither the idea of responsible government nor that of a legislative union as he had defined it was accepted by the imperial government. Provided as it was with clauses concerning equal representation, the Union Act of 1840 did not respect the priority of principles set forth by Durham. 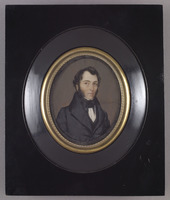 It is none the less true that the debate in which he had engaged, examining the main points more thoroughly than anyone else before or after him, would not come to an end either in 1841 with the union of Upper and Lower Canada or even in 1848 with the attainment of responsible government. Since childhood Durham had constantly been threatened with tuberculosis. His father, his first wife, and four of his children had been carried off by it. Throughout his life he was forced to cease his activities at certain times because of illness. Regularly, and sometimes for rather long periods, he was obliged to perform his duties while enduring great suffering. His delicate health grew worse long before the end of his stay in the Canadas. 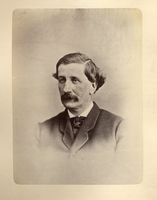 Upon his return to England, once his report had been made public, he was again urged to reduce the pace of his work, although his responsibilities within organizations set up to colonize New Zealand were not absorbing his time to any great extent. 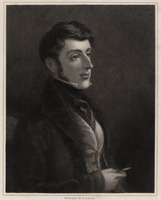 Except for the rare social engagement when he found a chance to make peace with former colleagues and friends, including Brougham and Melbourne, from February 1840 on he kept more and more to his residence at Cowes, where he died on 28 July. His second wife and four of their children survived him. 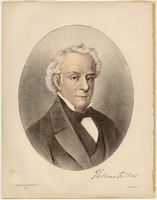 John George Lambton’s Report on the affairs of British North America, from the Earl of Durham . . . was issued by parliament in 1839 as G.B., Parl., Command paper, 1839, 17, no.3, and also as a separate publication ([London, 1839]). 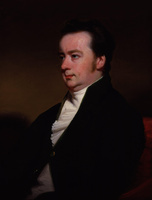 It has been republished as Lord Durham’s report on the affairs of British North America, ed. C. P. Lucas (3v., Oxford, 1912; repr. New York, 1970), and as Lord Durham’s report, ed. G. M. Craig (Toronto, 1963). There is a French translation: Rapport de Durham, M.-P. Hamel, trad. et édit. (Montréal, 1948). 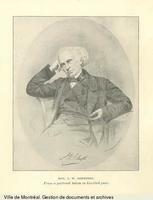 [Charles] Grey, Crisis in the Canadas: 1838–1839; the Grey journals and letters, ed. William Ormsby (Toronto, 1964). [L. E. Grey, Countess of] Durham, Letters and diaries of Lady Durham, ed. Patricia Godsell (Ottawa, 1979). Burke’s peerage (1970). Fauteux, Patriotes. Wallace, Macmillan dict. John Benson, British coalminers in the nineteenth century: a social history (Dublin and New York, 1980). Michael Brock, The great Reform Act (London, 1973). Buckner, Transition to responsible government. The colonial reformers and Canada, 1830–1849, ed. Peter Burroughs (Toronto, 1969). 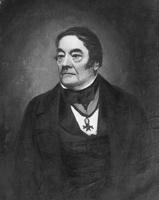 Leonard Cooper, Radical Jack; the life of John George Lambton, first Earl of Durham, 1792–1840 (London, 1959). Richard Fynes, The miners of Northumberland and Durham (Wakefield, Eng., 1971). E. J. Hobsbawm, Labouring men; studies in the history of labour (London, 1975). 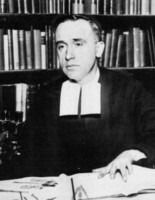 Mark Hovell, The Chartist movement (Manchester, Eng., 1963). Ged Martin, The Durham report and British policy: a critical essay (Cambridge, Eng., 1972). C. W New, Lord Durham; a biography of John George Lambton, first Earl of Durham (Oxford, 1929). Ouellet, Bas-Canada; Hist. économique. Harold Perkin, The origins of modern English society, 1780–1880 (London, 1972). Pressure from without in early Victorian England, ed. Patricia Hollis (London, 1974). Taft Manning, Revolt of French Canada. E. P. Thompson, The making of the English working class (London, 1963). 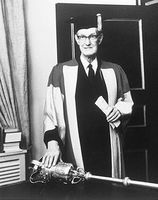 Roger Viau, Lord Durham (Montréal, 1962). 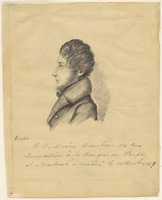 Fernand Ouellet, “LAMBTON, JOHN GEORGE, 1st Earl of Durham,” in Dictionary of Canadian Biography, vol. 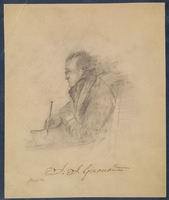 7, University of Toronto/Université Laval, 2003–, accessed April 25, 2019, http://www.biographi.ca/en/bio/lambton_john_george_7E.html.